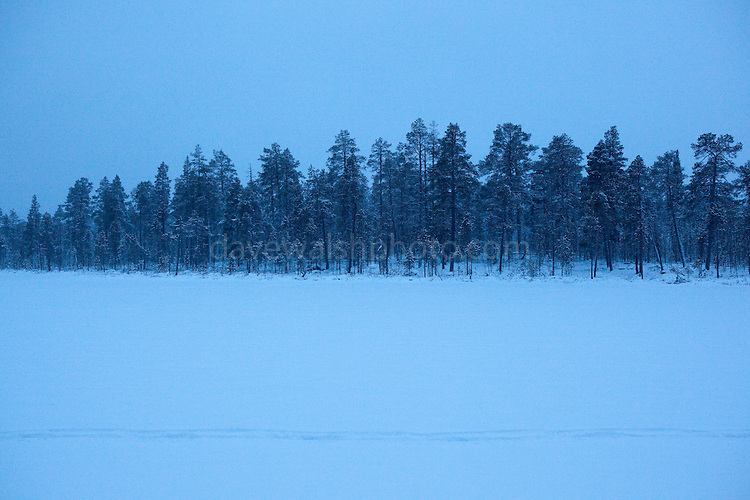 The forest at Otsamo, Lapland. 300km above the Arctic circle, these slow-growing slim trees are hundreds of years old. A campaign by Greenpeace activists and Sami reindeer herders to protect old growth boreal forests near Inari, Lapland, in Northern, Finland, led to 80,000 hectares of forest being saved from logging. After a six year battle, the forests continue to be used by the Sami people for reindeer herding.